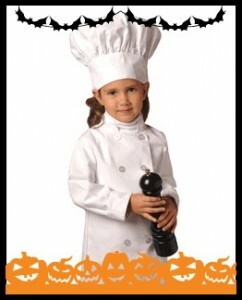 Kid’s Chef Coat – The most important part of your child’s chef costume is the coat. This cotton coat is great for any little chef-to-be and will be ideal for your Halloween outfit. Kid’s Chef Pants – Your little chef will love their pair of chef’s pants. These 100% cotton selections are perfect for your costume and can be worn as casual pants throughout the year. Kid’s Chef Hat – No chef outfit is complete without a hat. You can pick out a standard white hat or choose a selection with lemon, doughnut, or veggie prints. These are quality selections made using the same high-quality material we use for our actual chef’s outfits. After Halloween ends, you can hold on to these costume selections for dress up or just general playtime. Check out our selections and place your order today before Halloween!